Celebrate Envato's Birthday With Our Freebie Pack! If you haven't heard already, today marks Envato's fifth birthday! We celebrated the occasion last week with a 70% commission rate for marketplace authors, and today have announced an exciting birthday bundle. For our wonderful Tuts+ readers, we have prepared a fantastic pack of resources for you to use in your next event or party. Read on to find out how to download them free! These are included as an Adobe Illustrator file, EPS, and PSD, and have been lovingly designed by our immensely talented Vectortuts+ editor, Sean Hodge! Sure, you could send out a paper invite to your party, but this is the 21st Century! As a noble Tuts+ reader, it would be far more fitting to produce your very own event website, allowing people to RSVP online. We're here to help with a fantastic web template that can be used for just this purpose! The design is crafted and coded by Ian Yates, the editor of Webdesigntuts+, and offered to you completely free! Would a birthday pack be complete without a couple of accompanying wallpapers? We didn't think so, and enlisted the services of resident Envato designer extraordinaire, Jacob Zinman-Jeanes to produce two beautiful wallpapers to adorn your desktop. The perfect background for when everyone comes round for the party! While you're waiting for the download to complete, why not check out the fantastic birthday bundle promotion we're running at the moment? It's only available for a limited time! 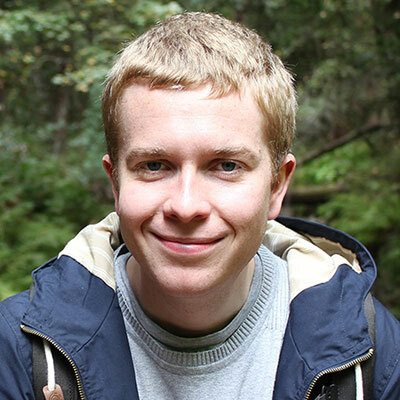 David Appleyard manages the Tuts+ Editorial Team, and has worked at Envato since 2008.